Heavy duty tensioner for use with TuffStrap™ CW (woven) | CD (corded) | CP (composite) polyester strapping. Suitable for strap widths up to 40mm. 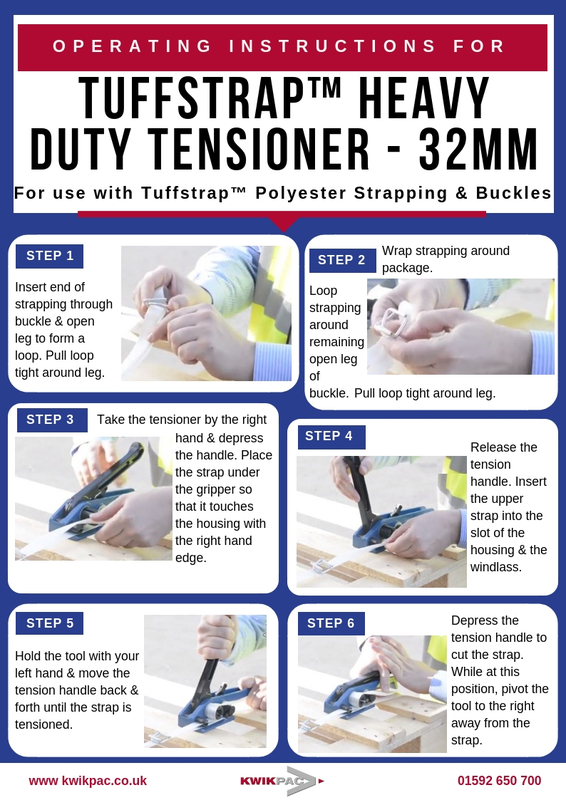 View operating instructions for the Tuffstrap™ 32mm Heavy Duty Tensioner. Heavy duty tensioner for use with TuffStrap™ CW (woven) | CD (corded) | CP (composite) polyester strapping. Suitable for strap widths up to 40mm.